Plastic surgery is no longer reserved exclusively for the wealthy and elite. With advances in technology and available financing options, plastic surgery is now accessible to most anyone. 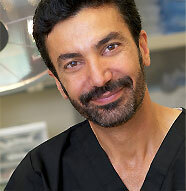 Sacramento plastic surgeon Shahriar Mabourakh, M.D., F.A.C.S. and our dedicated staff have helped many patients achieve their cosmetic goals. We offer a full range of plastic surgery and cosmetic procedures in the Sacramento area for the face, breast, body, and skin, available for both men and women. With so many cosmetic options available, Dr. Mabourakh and our team of nurses, estheticians and well trained patient care coordinators are able to help our patients attain their aesthetic vision. We are proud to serve the Sacramento area, with two convenient locations in Folsom and Stockton, including Allé Med Spa our non-surgical esthetic center. Contact us to schedule a personal consultation, and witness what we can do for you. If you would like to learn how to choose a plastic surgeon in the Sacramento area, follow this link to the page that goes over what to look for when choosing a plastic surgery practice. Check out these featured cases or view our entire before and after gallery. Our rhinoplasty patients love their results – see for yourself! Our Abdominoplasty patients love their results – see for yourself! Our Breast augmentation patients love their results – see for yourself! 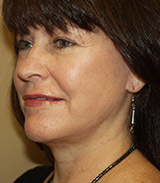 Our Facelift patients love their results – see for yourself! Our Liposuction patients love their results – see for yourself! Our Breast lift patients love their results – see for yourself! 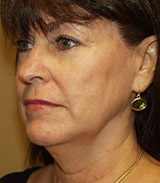 Patient Testimonials: Read more here. Dr. Shahriar Mabourakh is a highly educated and experienced Sacramento plastic surgeon with over twenty years of board certification from the American Board of Plastic Surgery and the American Board of Surgery. He is a member of the American Society of Plastic Surgeons (ASPS), American Society for Aesthetic Plastic Surgery (ASAPS), and a fellow of the American College of Surgeons. Dr. Mabourakh is certainly renowned in the field of plastic surgery, and is proud to bring his expertise to the Sacramento area. Since safety is our first priority, all plastic surgery procedures are performed in our on-site, fully-accredited, private surgery center under the care of a board certified physician anesthesiologist. In addition to plastic surgery procedures, our offices in the Sacramento area also offer a full range of skin rejuvenation and wellness techniques, including chemical peels, dermal fillers, injectables, and laser technology, just to name a few. Just as Dr. Mabourakh does with our plastic surgery procedures, our esthetician and esthetic nurse will work personally with you to specifically tailor treatments to your needs and desires. We are even able to offer the mommy makeover to our patients who have had children and wish to return their body to pre-pregnancy form or better. With so many available options and affordable financing solutions, it is easy to see why our plastic surgery practice is so well respected in the Sacramento area and surrounding communities, like Roseville and Rocklin. Would you like to learn how to finance plastic surgery, or what is the cost of breast augmentation for example, then follow this link to our page that goes over how to pay for cosmetic surgery procedures. If you are interested in altering your personal aesthetics and improving your self-confidence, look no further than Dr. Mabourakh. With an array of plastic surgery and cosmetic procedures along with decades of experience. Sacramento plastic surgeon Dr. Shahriar Mabourakh is able to deliver dazzling results. The doctor and our experienced staff are committed to providing excellent, personal care to each of our patients, not just the wealthy elite. Please contact Folsom Plastic Surgery and Stockton Cosmetic Surgery Center today, and see how we can help redefine your beauty. We are proud to introduce Touch MD! You can now review videos about your procedure, learn more about Dr. Mabourakh and staff and view or print images saved by Dr. Mabourakh during your consultation. 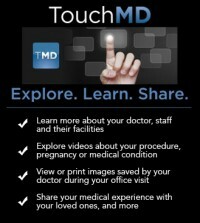 Simply click on TouchMD logo to the left or download the Touch MD app or visit their website MyTouchMD.com to start exploring. To login use the email you provided as your ID, the password will be your first and last name initials followed by your 6 digit date of birth, no spaces, all lower case. For your protection you will also be required to change your password after your first login. 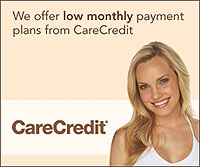 Read about How to finance plastic and cosmetic surgery in Sacramento click here. Read about Sacramento breast augmentation virtual consultation with Dr. Mabourakh click here. Read about How to choose breast implant size click here. Read about Breast implants saline vs. silicone, pros and cons click here. Read about Breast Augmentation smooth vs. textured implants click here. Read about Breast lift or mastopexy with or without breast implants. Check out my 20,000 square feet non-profit fitness and training facility in El Dorado Hills, dedicated to promote athletics in elementary schools and high schools and fitness in the community through a not for profit corporation called Power in Peers, Inc. If you are interested in improving your appearance through cosmetic surgery or a laser skin procedure, please contact Dr. Shahriar Mabourakh of Folsom Plastic Surgery for a personal consultation. We have two locations conveniently serving Folsom, Stockton, and all surrounding areas.